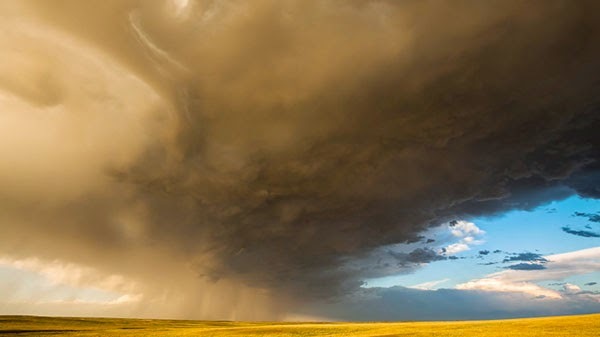 Beautiful time-lapse of the landscape of Wyoming but what makes this video stand out is the spectacular weather phenomenon he captured, which starts at around the 4 minute mark. This project was created for two reasons. My love for Wyoming and all of the beautiful landscapes and wild weather it has to offer. And my interest in sharing that view with those around me. Watching the stars at night high in the mountain wilderness, experiencing a meteor shower in the lower basins, having a supercell spinning directly overhead on the high plains, watching lightning play across the hills and prairies, trying to stand up against 60mph ground blizzard creating winds in the dead of winter, all the while spending much of that time with the love of my life, my amazing and ever patient wife...that is how I quantify this endeavor.